Panda Express Recipes (EVERY ONE!) from the menu, from entrees to sides and appetizers! Quick, easy and they taste just like the original recipes. Panda Express Recipes make it onto the blog pretty often and it felt more and more important to keep a page where you could go to see all the recipes in one place. There is a huge selection of copycat recipes on the blog, this page is your resource for everything Panda! I got so many requests when I started re-creating Panda Express Recipes that it became a sort of a mission to get all of them! Hope you enjoy! Orange Chicken – The king of all Panda Express recipes, this copycat has been viewed over a half a million times in less than a year! Mushroom Chicken – One of the healthy picks on the menu, this recipe is easy to make, done in 15 mintues and tastes amazing! 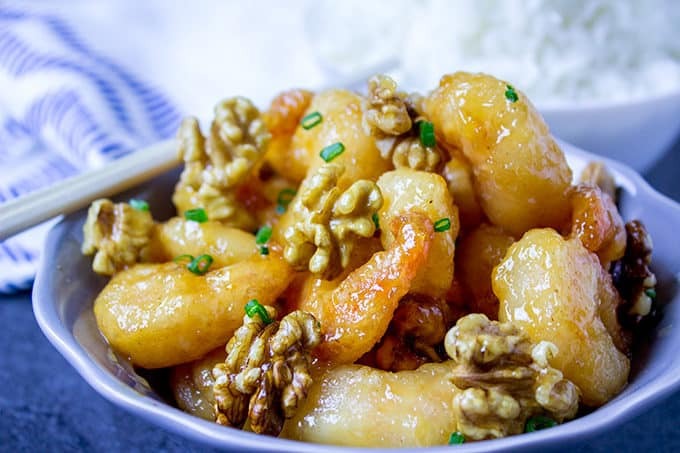 Honey Walnut Shrimp – No need to pay the extra for shrimp today, make it at home! 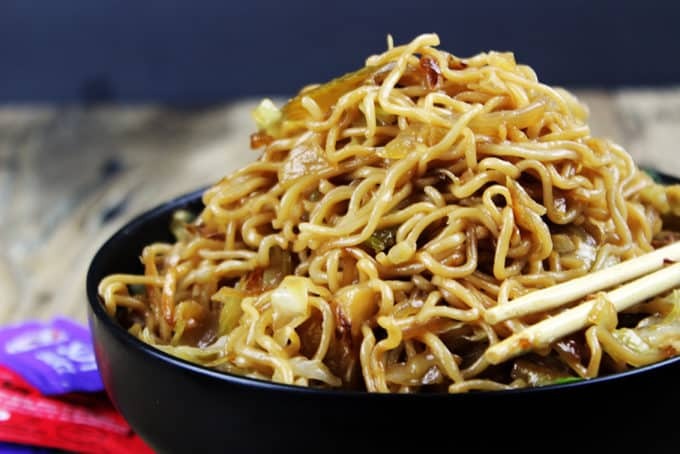 Chow Mein – The top selling side dish, just a few ingredients and ten minutes until you’re enjoying this delicious Chow Mein. 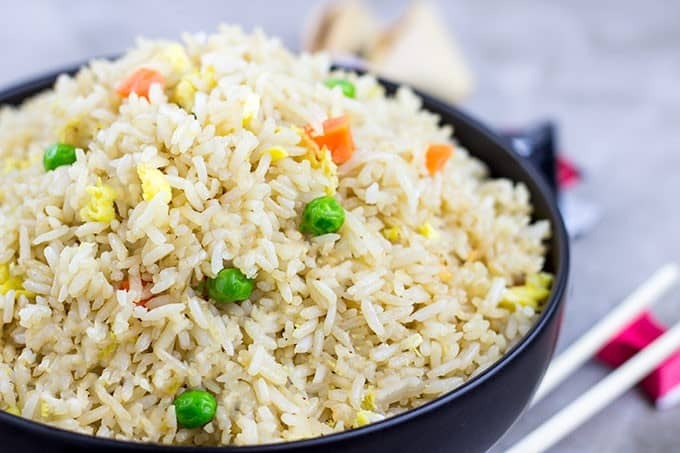 Fried Rice – Passing on the Chow Mein, then surely you want this fried rice! 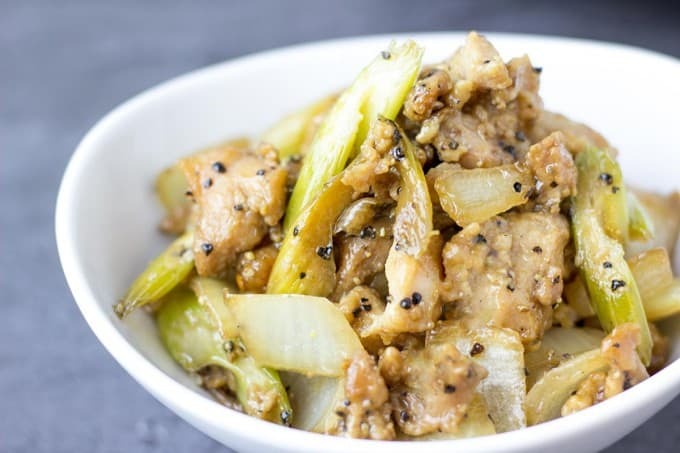 Black Pepper Chicken – Another item on the healthy for you section of the menu, this chicken has a huge punch of flavor. 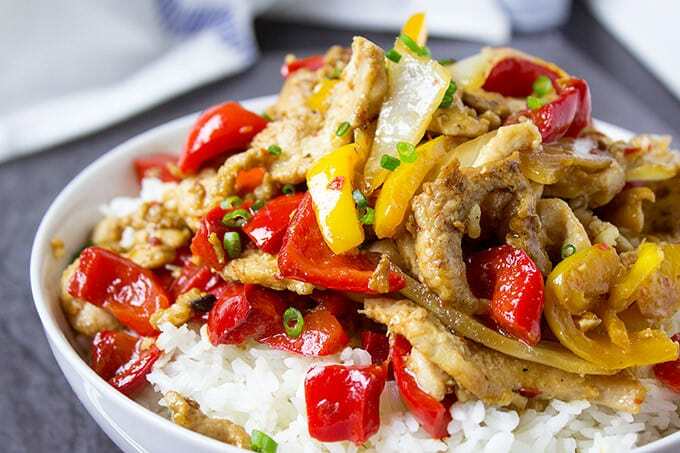 Kung Pao Chicken – The authentic recipe shared by a Panda Express chef in Hawaii, there is nothing more fun than working with the exact recipe! 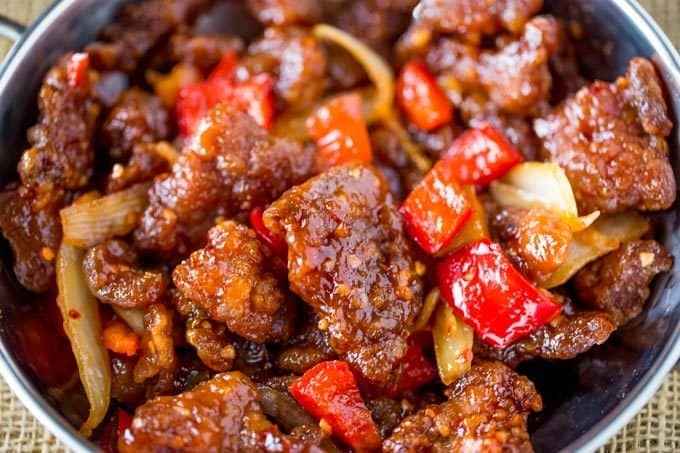 Beijing Beef – Orange Chicken’s beefy brother, this is crispy, crunchy sweet and heat all at once! 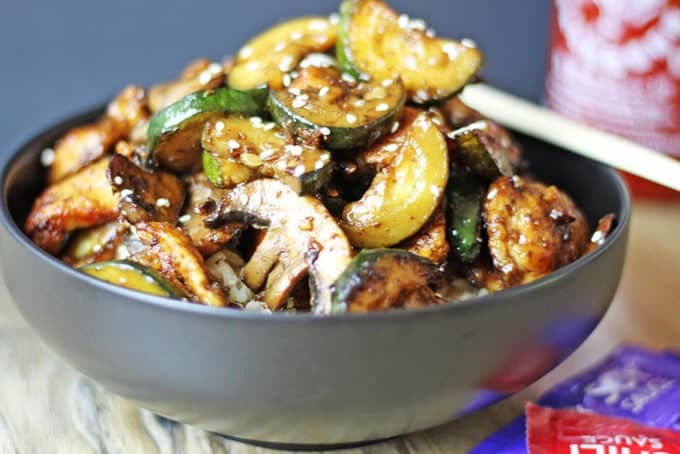 Mandarin Teriyaki Chicken – Healthy, easy and makes a great sauce for salmon and beef too! 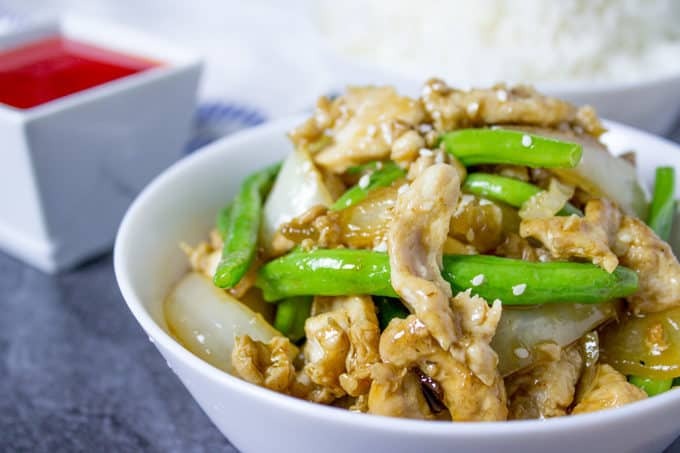 String Bean Chicken Breast – One of the healthiest entrees on the menu, you’ll love the fresh flavors! 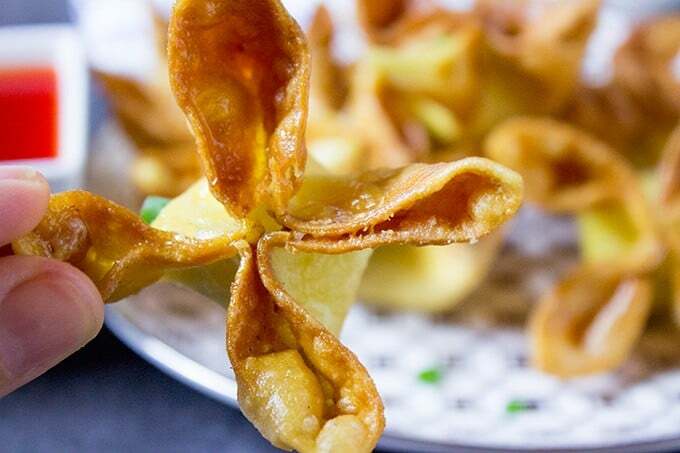 Cream Cheese Rangoon – Crispy, creamy and salty appetizer? Check, check, check! 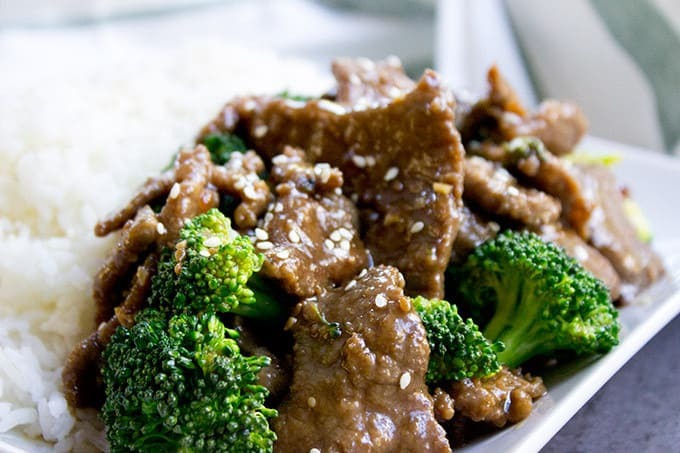 Beef and Broccoli – One of the original favorites! Didn’t think I would forget this one, did you? 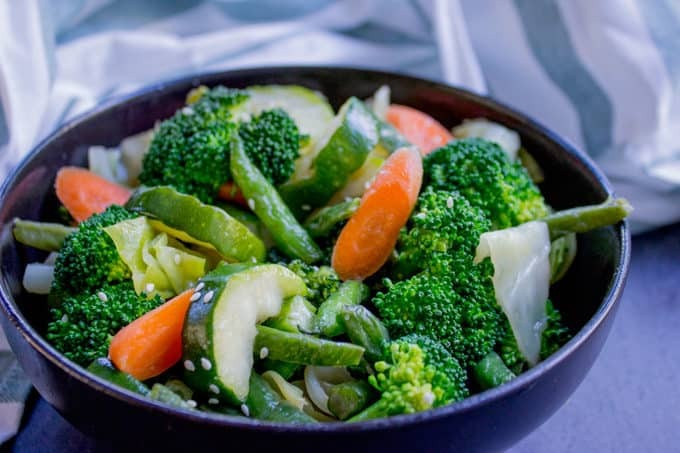 Mixed Veggies – Look if we NEED something totally healthy, I guess this is the best way to do it! These veggies have a secret source of awesome flavor! Am I missing a dish you love? Let me know! If you made it all the way through this list you must love Panda Express Recipes! What about the Honey Walnut shrimp? Panda Express had an Angus Beef with Aparagus that was spicy & delicious. Any chance you can develop a copy cat recipe for that? I’ll add it to my list. Thanks for the suggestion! They had a 5 flavor shrimp that was awesome and no longer carry. Do you know the recipe to that by chance. I’m very excited to try these recipes. I don’t but I’ll add it to my list to research. Thanks for the suggestion! Could you do their honey sesame chicken please? It’s a seasonal item but by far their best entre. I’ve made the mushroom chicken, the walnut honey shrimp and the orange chicken and all three are excellent! I used too big of an orange for the orange chicken (no actual measurement is given), but otherwise it was awesome. I’ll use a medium size orange next time. I highly recommend all of these and I plan to try the other recipes as well. I’ll let you know what I think of those. So far three for three! Thanks for the recipes.? So glad you’re enjoying all of the recipes! 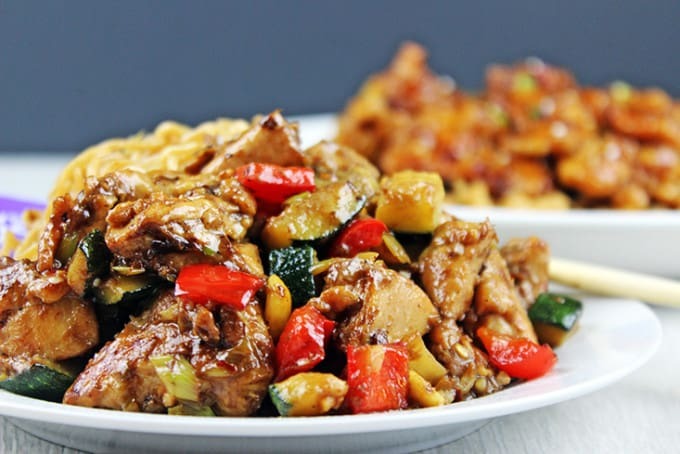 The Peking Pork entree features crispy, lightly battered pork chop bites accompanied with green bell peppers and onions tossed in a savory sweet and sour glaze. Premium Angus top sirloin and large succulent shrimp hand-tossed in a hot sizzling wok with potatoes, snap peas, bell peppers, onions and a Chinese-inspired steak sauce. I would love a recreation of the treasure shrimp recipe!!! Only one I can tell that is missing is the honey sesame chicken that Panda only has at certain times of the year… can you do that one?? I love it!! I don’t have any information for that one, sorry. Love your recipes. I have made the Honey Walnut Shrimp and the Chow Main. Thank you so much for all of them. Wondering if you’re going to have one for the Honey Sesame Chicken breast. Thank you again. I LOVE THE RECIPE BUT HOW DO I PRINT IT? Don’t panic, Barry. This is only a listing of recipes – each picture has a link to the full post and recipe for each item. The recipe card for each recipe has a button you can click on to format the recipe for printing. Hope that helps! Hi, I just found your blog just now, so I haven’t tried any out yet, but I’m definitely going to! My new favorite is a steak and shrimp that is a little spicy. If you are still recreating new ones, I’d love for you to try that one! 🙂 Do you ever freeze them after you’ve made one? I’m working on the steak and shrimp recipe….stay tuned! A few recipes I’d like to try at home if you could get your hands on the recipe, there almond cookies, crab rangoon, an chicken pot stickers. A few others from other Chinese restaurants, like the boneless spare ribs, and the beef an pork lo mein. Love your recipes, I’ve only tried the cream cheese ragoon, trying the general tso chicken next looking forward to your next Chinese food dish!! ??? Have you tried panda’s peking pork, I know they don’t offer it all the time. I’d love to make that one. Sorry, I don’t have a recipe for it. you have the sweet and sour sauce. can you find the panda express recipe for their teriyaki sauce. I have a recipe for Panda Express Teryiaki Chicken that includes the sauce you’re looking for. Enjoy! I think you missed the Spicy Eggplant and Tofu recipe. Based on these recipes, I’ll bet you come up with a fantastic platter! So far I’ve made the Kung Pao Chicken, Firecracker Chicken and Kung Pao (Shrimp) since I had a bunch of shrimp I didn’t cook from a different meal. They we all amazing my family loved them. Thanks Sooo much for these awesome any easy recipes. Today it’s String Bean Chicken Breast with Chow Mein! Love it! I’m so glad you’ve been enjoying them all! Oh my!!! You may be my new favorite person!! My son is about to come home from college at thanksgiving and panda has been our thing for years!! I’m ready, thank to you and your hard work. I’ll come back and leave the five stars once I’ve made them all, can’t wait!! And thanks a ton!! That’ll be such a nice surprise for him, Misty! Hope you all enjoy it! Honey Sesame Chicken! !’ My favorite, and u fortunately one of those seasonal ones. I haven’t been able to find it locally to be able to do a side-by-side taste comparison but it’s on my list so stay tuned. Their honey sesame chicken is a seasonal dish they won’t put it on the permanent menu but it’s one of my favorites! Have you tried to recreate it yet? 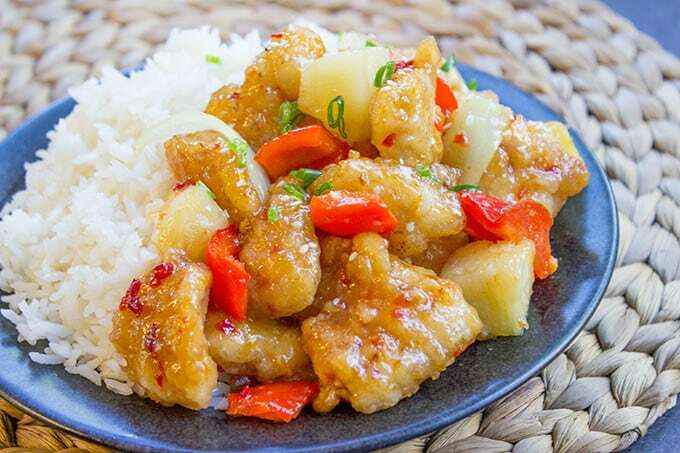 Have you done the Panda Express Potato Chicken? I WOULD GIVE MY RIGHT ARM FOR THAT RECIPE. I want to recreate it so badly but it was discontinued and I can’t get it. I wrote and called Panda Express to ask for it. They even once reached out to me to ask me to promote something for them and I replied with, “sure in exchange for the potato chicken recipe” and they said no. the Potato Chicken is SO GOOD. I keep hoping they’ll bring it back, but they haven’t :c One can hope, I suppose. Have you done the Eggplant Tofu yet? I have been testing it for a while. I don’t quite understand the texture they get on the tofu. I am still testing if its deep fried and if so for how long. I’ve eaten way too many of these plates! And YES, I miss the potato chicken! I want it back! 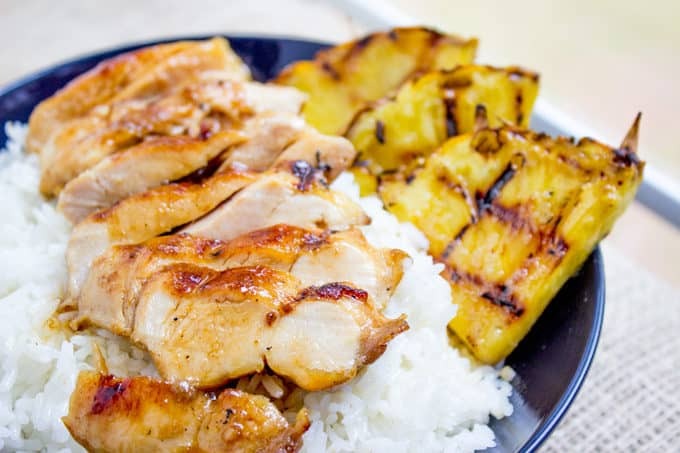 How about their grilled Asian chicken with teriyaki sauce, it’s the best!!! Can you tell me how to do their five flavored shrimp please. I haven’t tried that one yet. I have to check it out and let you know. How about garlic chicken? Spicy! 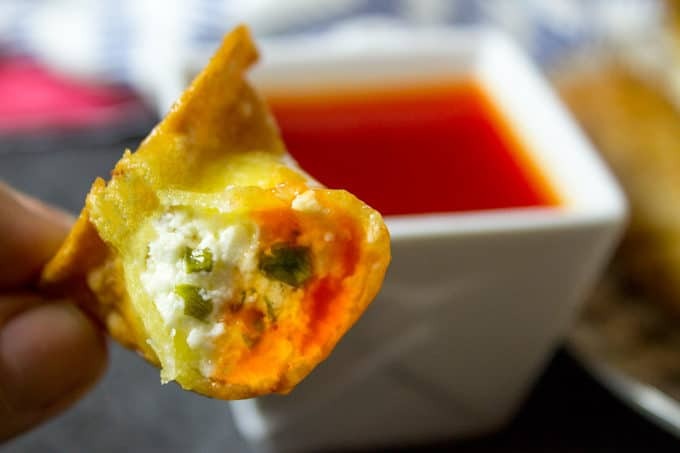 Please, oh please, can you make a copycat recipe for their eggrolls?! That’s the only item I love that’s missing from this list 🙂 Unless you can also recreate their sweet awesome fortune cookies! Do you know how to do their honey sesame chicken they used to have??? Nope, sorry 🙁 I also wish I had a chance to recreate the Potato Chicken but it went away before I got to it. Sesame chicken. My favorite. I have been waiting a year for them to bring back. Thanks for this! How about general tso’s ? Yes, that’s definitely a good one too! If you go to the site and type in General Tso’s into the search option, you’ll find the recipe there. Enjoy! Hello, thank you for the recipes. I love their Firecracker Chicken!!! Are you able to copy cat that recipe? Yes, I have that one too! Just go to the search option on the blog and type in Panda Express Firecracker Chicken, it will take you right to it! Enjoy! That sounds delicious! I haven’t ever seen the entree in the store but the second I do I will snag 2 large orders and get to experimenting with it! I second this request! The Honey Sesame Chicken is amazing and I’m always sad when they only bring it back for a limited time. I would love to be able to make this one at home. Yes! I have that one coming next week! I don’t know how I missed it! I don’t see my favorite Eggplant and Tofu dish from Panda Express. My silly local Panda doesn’t carry it because it doesn’t sell well. I’m so glad to provide you an avenue to enjoy your favorite restaurant dishes again! Love your recipes! Looking for PE’s copycat recipe for Angus Steak (spicy) with Asparagus (seasonal), as it’s crazy good! I think there’s a PE string bean, onion, & Angus steak dish that I’d love the recipe for also. Thanks so much for your recipes!!! I have already tried more than few of your Panda Express copy cat recipes!! Your version of Panda Express is FAR BETTER than Panda’s!!! Hopefully, you are not sued by them and you can keep re-creating BETTER version for all of us 😀 Seriously!!! Thank you so much Doremi! I’m so glad you’ve been enjoying these!